Lock in a great price for Berkeley Hotel & Day Spa – rated 8.7 by recent guests! This hotel is just above Port Gruz area. So if arriving by Ferry it is a very short 10 minute walk. At the port area the bus goes into the old area of Dubrovnik a short 15 minute ride. It is an easy 30-45 minute walk to the Lapad peninsula area where there are many restaurants and bars. There are also many restaurants a very short walk from the hotel. This is a small quiet hotel. There is a pool but it was closed as we were there in April. Staff were friendly and helpful. The breakfast is very good and fresh eggs made to order, the breakfast staff were very friendly. Convenient location if you take or get off the cruise. Breakfast is good and plentiful of choices. We were late to check in on the first day and had to check out early for our flight but the staff was super accommodating and worked with our schedule. Very friendly. We did not get a chance to take full advantage of all of the facilities they have to offer but they looked really nice. Great location to the port for boat rides to the islands. The location was not a tourist location so it was very calm. There was good transport opportunities succh as the 1a, 1b, 1c, 8 buses etc that go to old town and the beaches. The staff was very friendly, and very helpful as to directions etc. Rooms were kept tidy and clean. The beds were very comfortable. There was a swimming pool with an honsty bar right beside it. Loved the idea! There was a spa however we didnt use it. Overall great experience ! It is a wonderful small boutique hotel that is very modern. A true hidden gem. Our travel agent proposed a hotel closer to the old city for 5 times as much. The Berkeley was 100 yards from our cruise ship and an easy bus ride or walk from the old city. The staff could not have been nicer. And we had a balcony - actually more of a large terrace - with a view of the harbor. Can't wait to go back to Croatia and will unequivocally stay in the Berkeley. Good location with lots of good restaurants nearby. Lovely views of new port and surrounding hills from our balcony. Good breakfast. We had the hotel arrange for someone to meet us at the airport and drive us to the property. Smart move. The hotel is in a perfect location - walking distance to the ferries which was important for us as that was how we were leaving Dubrovnik. It was an easy bus ride to the Old Town and the Receptionist, Kristina was super helpful and informative. The kitchen staff were eager to please. The room was large and the bedding very comfy and the sea view (we asked for it) had a balcony with 2 chairs - really lovely. I really liked the instant coffee they had. Room was pretty clean. the hotel was very close to Gruz harbor - it's a 3 star hotel so nothing luxurious but you had what you needed. The ladies at the front desk were very friendly and helpful. They recommended a restaurant and that was outstanding. We stayed there for 2 nights before our cruise and that's perfect... you can actually walk to the cruise terminal with your luggage. Very close to the bus going into the old town of Dubrovnik. We also had 2 massages at their spa and they were pretty good so overall a good experience. Berkeley Hotel & Day Spa This rating is a reflection of how the property compares to the industry standard when it comes to price, facilities and services available. It's based on a self-evaluation by the property. Use this rating to help choose your stay! One of our top picks in Dubrovnik.The family-owned Berkeley Hotel is located at the beautiful Gruž harbor of Dubrovnik and offers modernly furnished rooms and apartments, some of which featuring sea views. The property's on-site spa offers massage, facial, body and nail treatments. 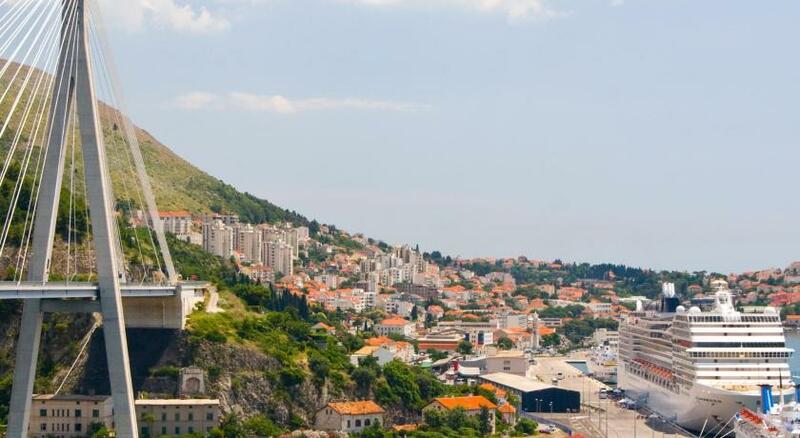 The famous Old Town of Dubrovnik is only 1.2 mi away and is easily reachable by local bus services, running every 10 to 15 minutes from in front of the hotel. The rooms and suites are modernly and stylishly furnished, and the delicious breakfast is a great start of the day. Services like car rental, an airport shuttle, fishing excursions and luxury boat charter are available on request. Within a 10-minute walk at the most you can reach domestic and international ferry services, water taxis and the main bus station. Parking is available at the parking lot of the Berkeley Hotel. When would you like to stay at Berkeley Hotel & Day Spa? This modernly furnished studio suite has views of Gruz harbor. The room has a king bed and a balcony. In some rooms, an additional bed is possible. Modernly furnished suite (538 ft²) with a bedroom and a separate living room with beautiful views over Gruz harbor. In the living room an additional double bed can be set up. Modernly furnished double room with a king-size bed or 2 single beds. All rooms have balcony/terrace with outdoor seating. Room featuring a private balcony overlooking the Gruž Harbor and the sea. This air-conditioned room comes with a terrace or a balcony and is located on the 1st or the 2nd floor overlooking the pool area. Twin beds can be requested at time of booking. Berkeley Hotel is a true 'home away from home'. 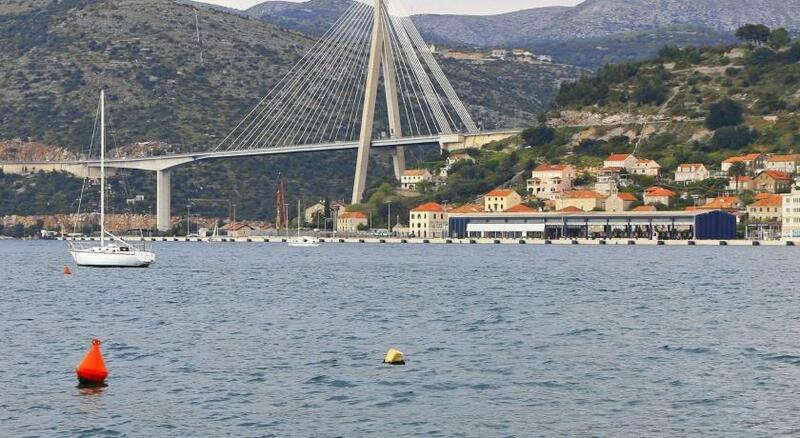 Run by a local family who lived in Sydney, Australia before returning to Dubrovnik in 2007 to open the Berkeley Hotel. All rooms are modernly furnished and have all the necessities you need to make your stay comfortable and enjoyable. We have great additional facilities including outdoor pool and jacuzzi with sundeck area. In 2015 we opened our boutique day spa, SPA at the Berkeley which offers Dermalogica face and body treatments, nail treatments and a full range of massages. This is the perfect oasis to escape and feel rejuvenated during your holiday. We also have our own speedboat which is available for half and full day excursions to the nearby islands. This is a great idea for those who want to have a great day exploring the islands without the crowds. We love our property and the facilities we have over time added to make our guests stay enjoyable. We look forward to the opporunity to have you stay with us. House Rules Berkeley Hotel & Day Spa takes special requests – add in the next step! Debit card Berkeley Hotel &amp; Day Spa accepts these cards and reserves the right to temporarily hold an amount prior to arrival. Berkeley Hotel & Day Spa accepts these cards and reserves the right to temporarily hold an amount prior to arrival. Please note that rates quoted in EUR are converted and charged in local currency (HRK) at a fixed exchange rate from the Central Bank of Croatia in effect at the time of your stay. Lovely welcoming staff. Always courteous and professional, nothing too much trouble. Good location, good 35 minute walk to old town, which we enjoyed. If you want to be in the old town this is too far. But with the bus close by this might be a better option as the old town area is very very crowded. The room was big and appropriate for my family (we traveled there with my wife and our little kid who's 1 year old). It was clean and comfortable. Good breakfast in the morning. Location is good: you can take the bus if you wan't to get to the old town (touristic part of the city) but you can also do it by foot (we did it several times with our baby in its stroller). But above all it's the staff who's just great! Very welcoming, warm, smiling and helping as much as possible. If we have a chance to come back to Dubrovnik, we'll certainly come back to this hotel for the people working there. Desk staff and management were extremely helpful. Free parking in the garage. Good location. Easy access to the Old City (~10' by bus). Croissants for breakfast would have been nice, nothing really I didn't like it was a lovely hotel. Superb staff, very helpful and informative, also eager to show you places to visit. Could not have been better. The place is a little dated but has a nice charm to it. Parking is very good and the rooms were spacious with a nice terrace. I was working in Croatia for 9 weeks and stayed in a few places. I stayed 1 night here to visit Dubrovnik and I really liked the place. Staff so nice and curtious. It was unfortunate timing because the hotel had just opened for the season. The spa was not available and some rooms had issues with mold, leaks and odor. the girl at the front desk was exceptional, as was the woman in the breakfast room. It was nice having a 'made to order' breakfast. Im unsure why its called a day spa. I wasnt made aware of any sauna or Jacuzzi on site and if there was it wasnt advertised. This is a very nice hotel a little out of town but very accessible and easy to reach. Its peaceful, well maintained, clean. Nice breakfast and very friendly helpful staff. Staff were very helpful and accommodating. Excellent service. Breakfast spread is smaller than I've had in other hotels but they give you option to order a breakfast menu item so it's just as good.